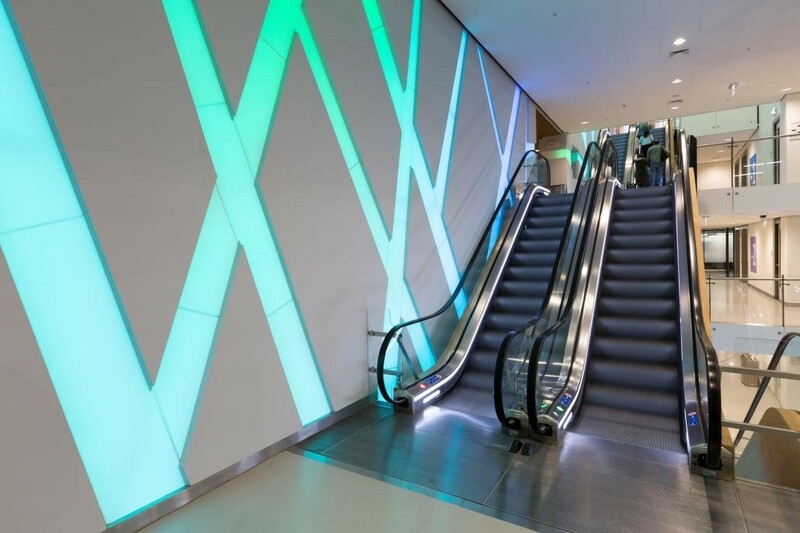 Giant LED lighting tree pattern made of Corian® Solid Surface in the new “City Room” (‘Stadskamer’) building at Hoog Catharijne Shopping mall in Utrecht, the Netherlands; photo courtesy of Gielissen, all rights reserved. December 2018 – Utrecht is a modern city with a rich medieval past located in the heart of the Netherlands. 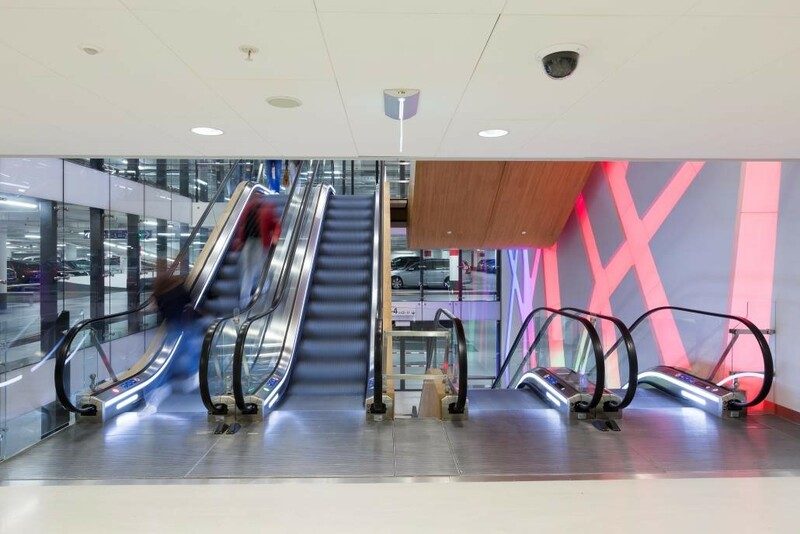 In the city centre is the biggest shopping mall in the country, Hoog Catharijne, that has undergone a major refurbishment as part of a large scale renovation project in Utrecht. 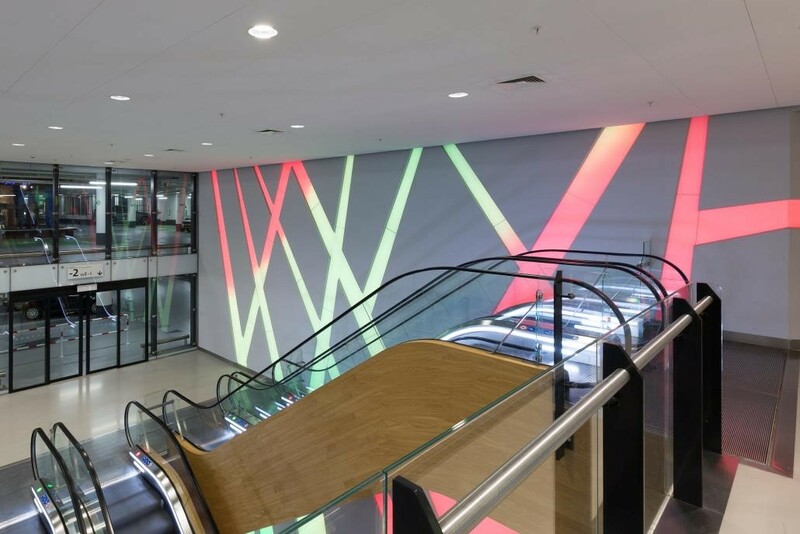 The renovation of the popular yet outdated shopping mall, which welcomes 26 million visitors a year, included the introduction of the “City Room” (‘Stadskamer’ in Dutch). This newly built space has the function of connecting Utrecht train station to the Medieval city center, offering a new promenade through the mall. Its modern and attractive architecture is like a large glass box that serves as a public gathering space and is home to restaurants at street level and several new retailers on the upper floor. The superior functional qualities of Corian® Solid Surface allow for upscale solutions that can withstand the normal wear and tear which comes with daily traffic. Corian® Solid Surface is also easy to clean and repairable if damaged. 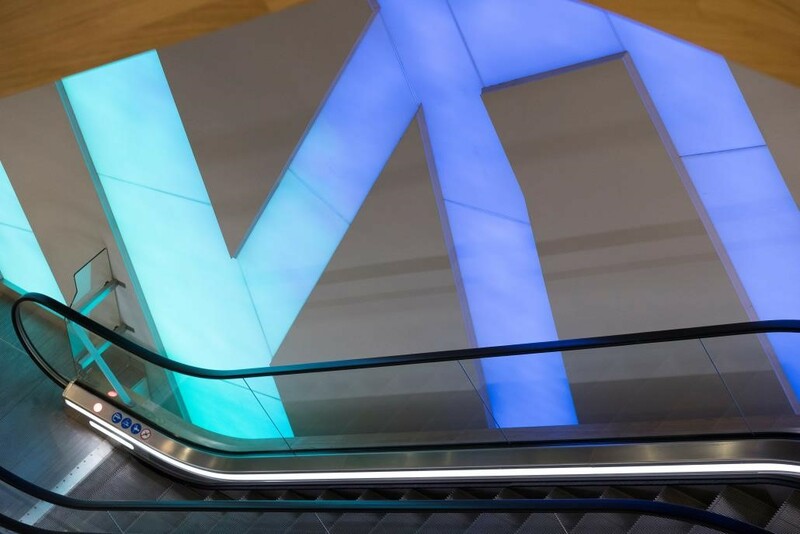 The tree-shaped LED installation in the Hoog Catharijne shopping mall in Utrecht will stand the test of time and maintain its original top quality aesthetics for many years to come. About Gielissen (www.gielissen.com) – The world is changing – more and more often we work remotely and communicate digitally. When people do actually have the opportunity of meeting face to face, the environment should be inspirational and effective in helping them to achieve specific goals. Gielissen Interiors | Exhibitions | Events is a frontrunner in this changing world. From our locations in Amsterdam, Eindhoven and Helmond, but also from Germany, Belgium, the UK, UAE and United States, our 80 years of experience and 350 talented industry professionals create inspiring meeting places in the world of interiors, trade shows and events.